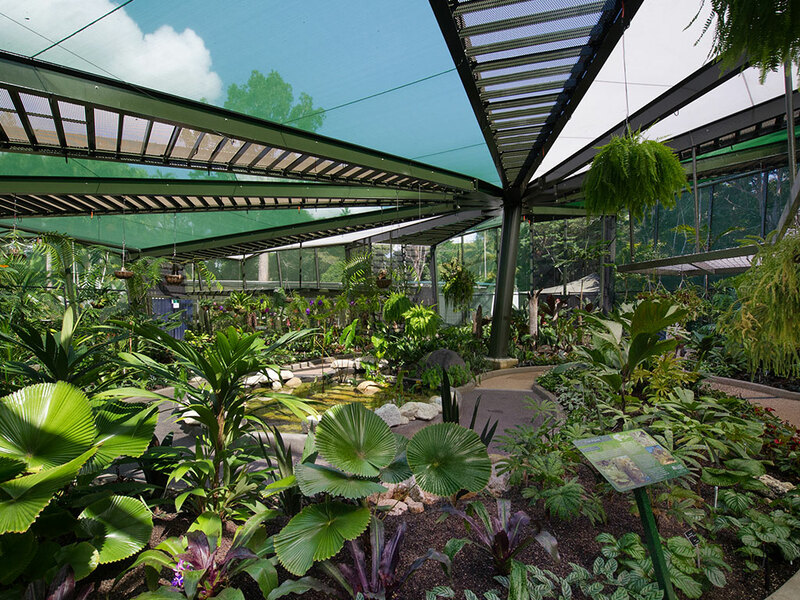 Sail Structures were engaged to source and install a fabric to enhance growing conditions to shade plants of the Watkins Munro Martin Conservatory. Monotec 370 was selected as the preferred fabric offering 90% UV-R protection. This project was awarded a Special Commendation – Awards for Excellence by the Specialised Textiles Association (STA) in 2016. In 2017, Sail Structures were recalled by the client to install an additional layer of shade over selected areas of the conservatory. The Monotec 210 fabric, with 70% UV-R protection was selected, offering those extra sensitive shade plants more conducive conditions. We manufacture all our tensioned membranes and shade sails using the latest cutting-edge technology from a modern purpose-built sail loft and now service clients through Queensland as well as interstate and overseas.